BANGLADESH. Dhaka. 2009. 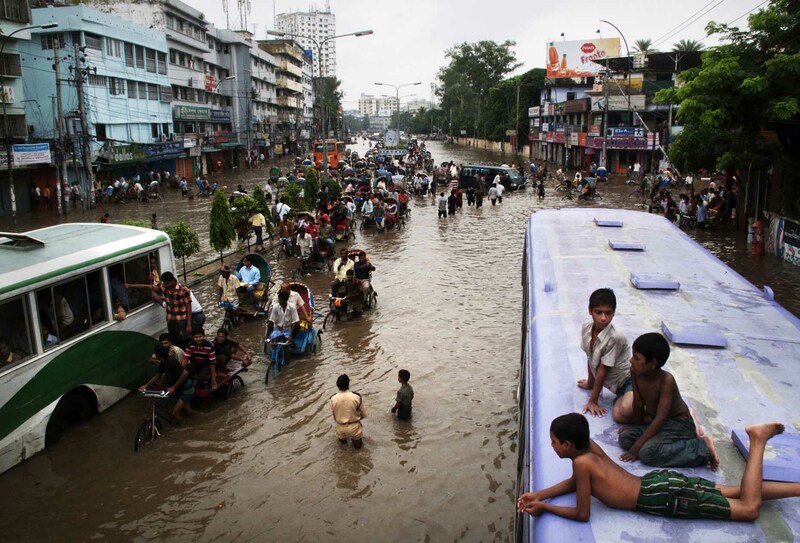 After night of heavy rains, large parts of Dhaka filled up with water. Arambagh area. People still were out and about, trying to get to work.